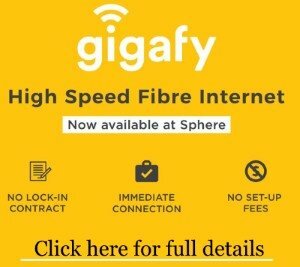 Sphere has partnered with Gigafy to offer all our residents a quality, high speed fibre internet connection at an extremely affordable price. 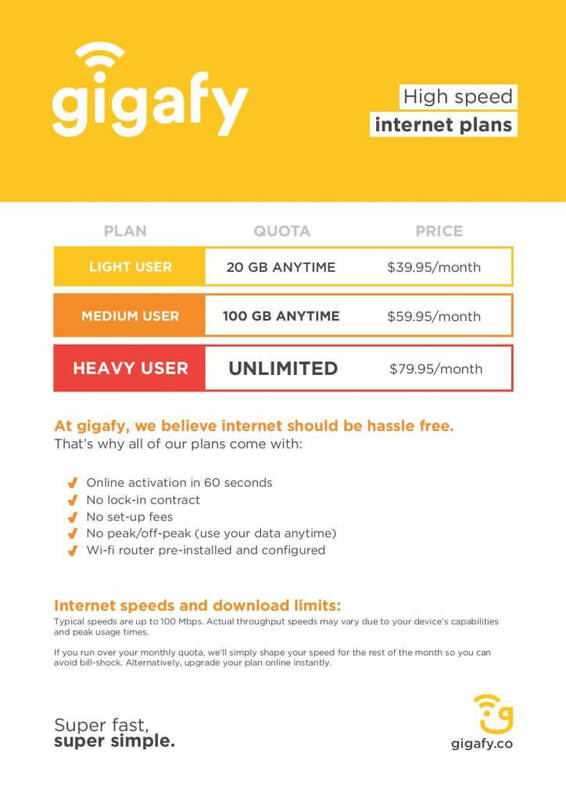 There’s no lock-in contract, connection is immediate and there are no set up fees. 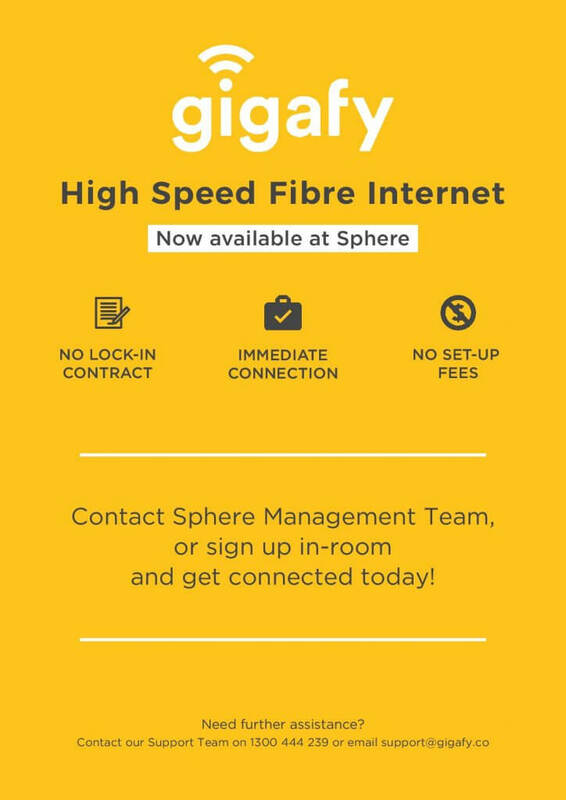 To get started, contact the Sphere management team, or sign up in-room to get connected today! See below for more information, or you can download and complete the application form here.